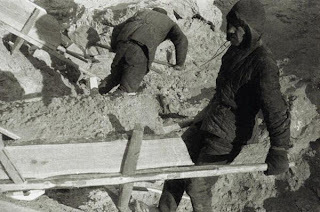 It has been 90 years since the Soviet authorities published a decree authorizing the creation of GULAG – the Chief Administration of Corrective Labor Camps and Colonies. 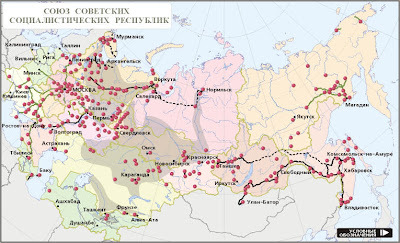 One of GULAG’s most notorious projects was the Belomor Canal. Deep and dark, the Belomor Canal’s waters stem from the darks underworld of the Russian history. Its route cut through millions of lives, its banks are reinforced by human bones. “This is what left of the people who built the Belomor Canal through the rock,” says historian Yury Dmitriev. More than 200 kilometers long, the Belomor Canal was built in less than two years. 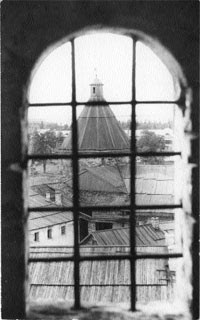 Completed in 1933, four months ahead of schedule, it was the first major project in the Soviet Union carried out using the forced labor of prisoners, whose only guilt was either a political joke, a well-kept household or a grumpy neighbor. “About 100,000 people took part in the construction of the Belomor Canal. Approximately it equals the number of slaves who built the Cheops Pyramid in Egypt. It was a slave construction site here as well,” says GULAG museum director Anton Antonov-Ovseyenko. Antonov-Ovseyenko himself spent 13 years in Soviet labor camps (also known as ‘gulags’). Now a director of the GULAG museum, he says the gulags were like a black hole in the fabric of life. The places had no sense of time, no justice and, worst of all, no hope. “It comes back to me at times. How I would lie there hungry, exhausted by hard labor, how I just wanted to fall asleep and simply pass into oblivion,” says Antonov-Ovseyenko. Historians are still unsure how many people ended up in the gulags. Estimates vary from 14 to 40 million. When keeping such a large number of prisoners became economically unreasonable, many of them were simply retried and given death sentences. Executed in their thousands, prisoners’ bodies were never buried – merely thrown away like used tools. It was only decades later that Yury Dmitriev found them and began identifying the Belomor Canal victims. “Six and a half thousand names… It took me six years to collect them. It feels like many of them have become my family,” says Dmitriev. Before leaving the improvised cemetery, Yury lights up. There is a tradition to leave a pack of Belomor cigarettes at one of the graves. Cheap and bitter, their taste reflects the millions of fates wasted in the gulags.